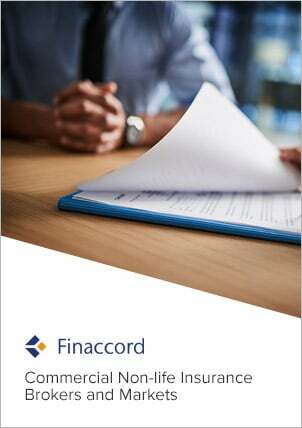 Finaccord’s report titled Commercial Non-Life Insurance Brokers in Europe, plus the BrokerBASE™ and market data annexe that accompany it, investigate the importance of brokers in the distribution of non-life (P&C) insurance for business, public sector and not-for-profit customers in 20 countries in Europe. Brokers are the most important single distribution channel in this sector, and Finaccord’s research indicates that fees and commissions earned by brokers from commercial lines insurance in Europe were worth EUR 11.61 billion in 2015. Moreover, brokers are increasing their share of this market in many countries, often at the expense of tied agents, and in most cases are expected to continue growing their overall share in future. This report first provides unique data for the size, segmentation and growth of the commercial non-life insurance market itself in each of the 20 countries in scope, namely Austria, Belgium, the Czech Republic, Denmark, Finland, France, Germany, Ireland, Italy, the Netherlands, Norway, Poland, Portugal, Romania, Russia, Spain, Sweden, Switzerland, Turkey and the UK. It then quantifies the share of this market that is intermediated by brokers and ranks the leading brokers in each country according to their revenues from commercial non-life insurance in 2015, excluding income from other activities. This analysis is based on an investigation covering 545 brokers in Europe, making it the most detailed and comprehensive study of this market ever published. to gain insight into the likely future trajectory of the commercial lines broking market up to 2019 including its forecast value and the predicted distribution share of brokers in commercial non-life insurance that will generate that value.